Bachata Cuban rum beer and Viru Premium Estonian Beer. 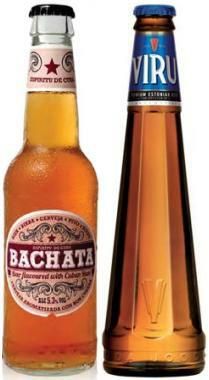 Bachata Cuban rum beer is imported by Nu World and Viru by Mexco. Flagship Brands is known for importing Russian vodkas such as Flagship and Matrioshka and is associated to Baltic Beer Company, owners of Viru Premium Estonian Beer.